Falls for seniors can be very serious. Most falls occur in the home and most seniors who fall will end up in the hospital. Returning to a normal, independent life is rare following a serious fall. Some people are so fearful of falling outside their home, they limit outside activities! Preventing falls can help to improve the quality of life for many seniors, as well as maintain their independent lifestyle! We now have available a light weight, easy to use brace that can help to stabilize seniors and keep them moving with ease and confidence. 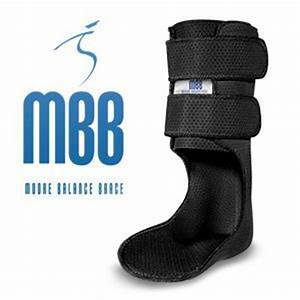 The Moore Balance Brace is a great tool for seniors with ankle instability, have had a stroke, neuropathy, imbalance and many other conditions. If you or a loved one has had a fall in the past, has neuropathy, balance problems, and ankle/joint instability, you may have am increased risk of falling. You should speak to your podiatrist and have a Fall Assessment. The treatment is PREVENTING the fall from happening in the first place. Learn about how the Moore Balance Brace can improve your quality life, keep you living independently and actively!